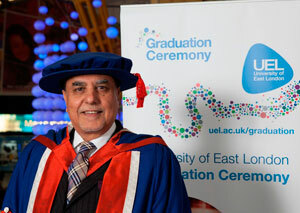 Zee and Essel group Chairman Subhash Chandra was awarded an Honorary Doctorate of Business Administration from the University of East London (UEL). Mr. Chandraâ€™s felicitation adds a feather to the crown of Zee Entertainment Enterprises Ltd and marks the establishment of the broadcaster in the UK andEurope, and follows a recent launch of DittoTV, an online, tablet and mobile platform providing live streams and TV on demand from 17 Zee channels. 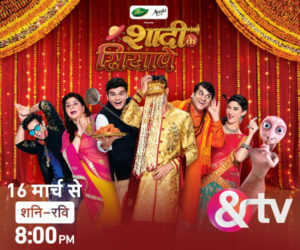 ZEE TV is now in the process of commissioning new programming produced specifically for the UK and European audience. Later today (Nov 21), Mr Chandra will deliver a keynote speech at AsPIRE, the annual event hosted by JP Morgan at Lordâ€™s to promote Asian-Pacific global leadership. Mr Chandra will take the audience through his life journey from humble beginnings in India to becoming a global billionaire. He will reveal his role models and advise on implementing ideas into successful business operations.